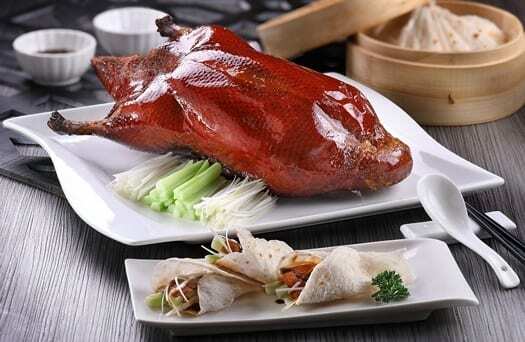 No need to fly to Singapore, Hong Kong or Shanghai anymore to get the chance to enjoy one of China’s finest cuisines. 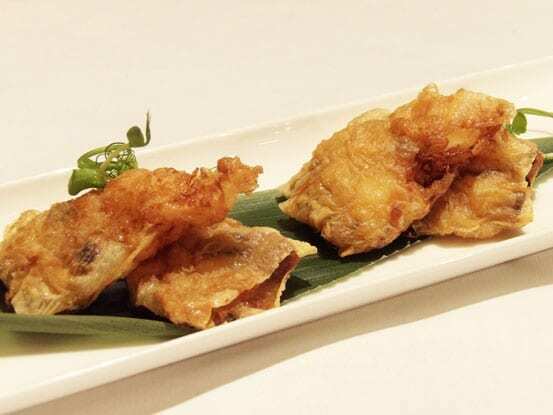 “Imperial Treasure” one of Asia’s most admired Chinese restaurant group, opened its first European restaurant in St. James last December and proposes Teochew delicate cuisine. Here “elegance” is the keyword and if you’re looking for stylish decor, slick food and attentive service this place was made for you. 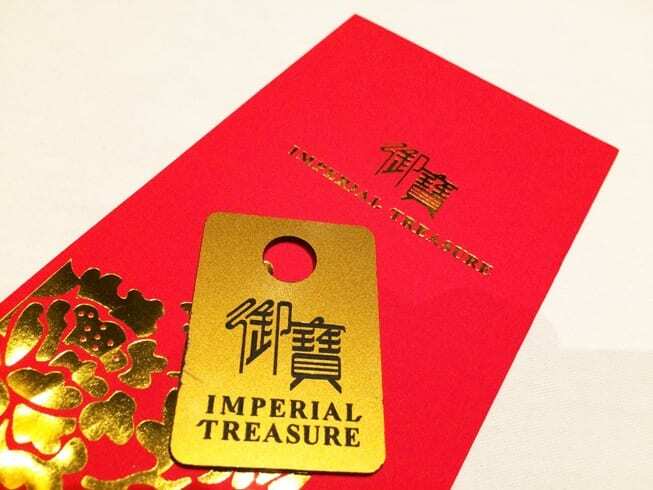 “Imperial treasure” was created in2004 with the opening of a first restaurant in Singapore. Located in “Ngee Ann City” a luxury shopping centre on Orchad Rd. it was awarded one Michelin star in 2017. Soon other ones opened in Shanghai, Hongkong (both are now starry restaurants too) South Korea… The group now aims success in Europe, first in London and very soon in Paris. New stars are in sights. 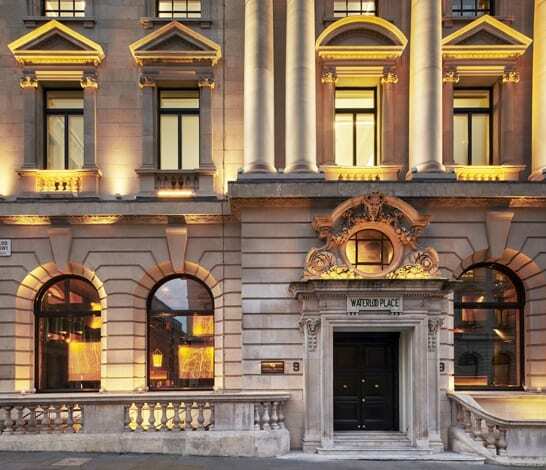 The restaurant is at walking distance from Trafalgar Sq and is set in a listed building on Waterloo Place that used to be a bank. Its grand facade doesn’t look like the one of a restaurant but the second we walked through the colonnaded porch we entered a sophisticated yet welcoming dining room. The high ceilings and original mouldings have been painted in black and Asian style partitions create smaller spaces giving a sense of privacy to the guests. Large white lamps seem to be floating in the air like light clouds and provide a gentle light good enough to see what’s in your plate without being dazzled. 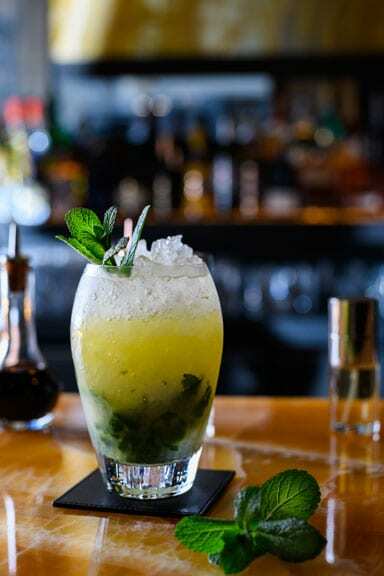 We first enjoyed cocktails at the bar (do have a Mandarin Mojito!) and were then ready for the serious business: food! Alfred Leung is the award-wining restaurateur, founder of “Imperial Treasure” and a big fan of Teochew cuisine. 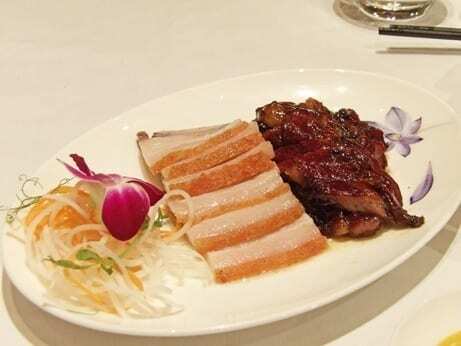 Less known than other Chinese cuisines, Teochew is originated from the Chaoshan region in the eastern part of China and is not a spicy cuisine. When properly used spices are wonderful but they tend to hide the “real” taste of the main ingredients. Less spices means freshness, quality and perfect cooking. The team working in the kitchen comes from Hong Kong and perfectly masters the art of poaching, steaming, braising or stir-frying food in order to enhance the produce’s tastes. The wine list is a fine combination of wines from the Old and the New World, including a selection of reds from China as well as English sparkling wines. The wine by the glass menu well deserves a good look and will allow you to have “grand crus” such as a Chateau d’Yquem 1998. Fish, seafood and vegetarian dishes are clearly favoured. Signature dishes include caviar on warm poached egg white, soft shell crab with soya crumbles, salt and pepper deep fried eel, crispy Iberico barbecued pork belly, silver cod steamed with chillies, a unique “Imperial Treasure” Peking Duck, an amazing range of Dim Sum, all perfectly cooked and served. Our dinner was a succession of tasty discoveries. 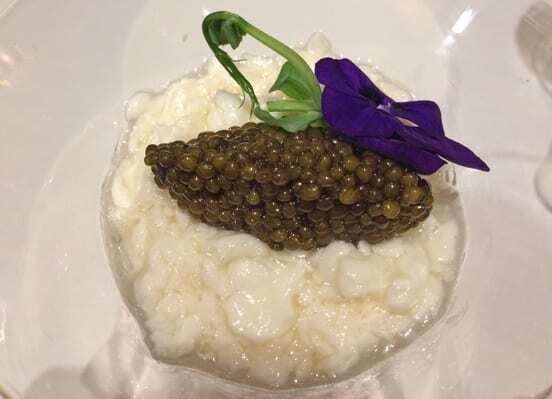 From the “caviar on egg white” to the “crispy lobster roll“, from the “pan fried Wagyu beef” to the “sweet and sour Iberico pork” or the “braised tofu with mushrooms” we experienced unknown combinations of tastes and sensations. Portions are big enough to fully enjoy each dish, never leaving us frustrated. We ended our dinner with a surprising dessert: “steamed charcoal buns with custard“. 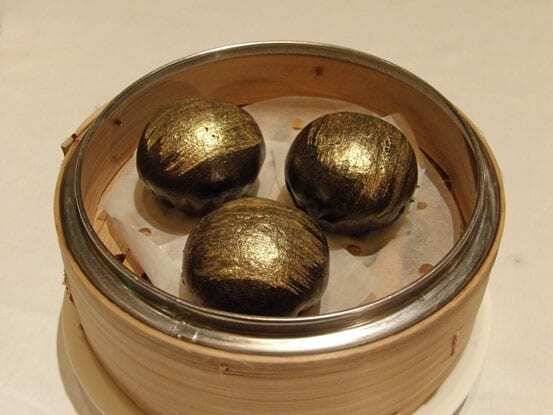 These are small hot black balls gilded in fine gold hiding a heart of soft vanilla cream. An absolute unheard of sweet! 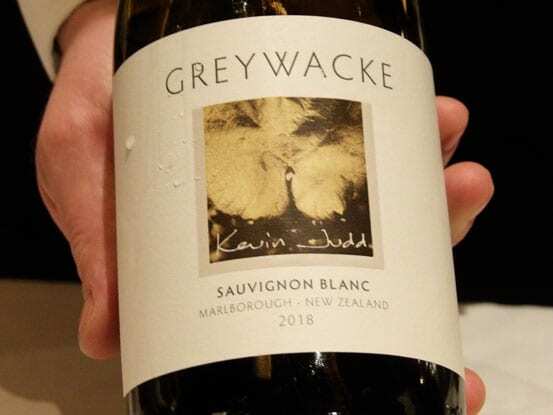 The sommelier helped us making our choice through the excellent wine list and we enjoyed a fruity Sauvignon Blanc Greywacke 2018 from Marlborough, New Zealand. 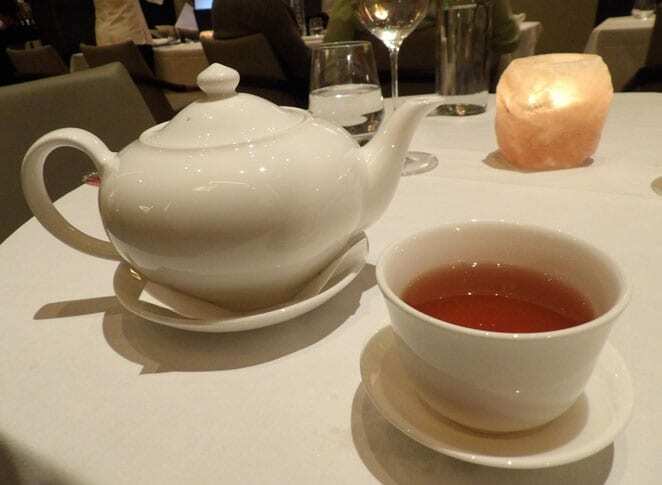 Our great dinner ended up with a fine cup of Oolong tea, a must with Teochew cuisine! Undoubtedly the new “Imperial Treasure” in London is aiming to get its first Michelin star and seems to hold all the aces to succeed. 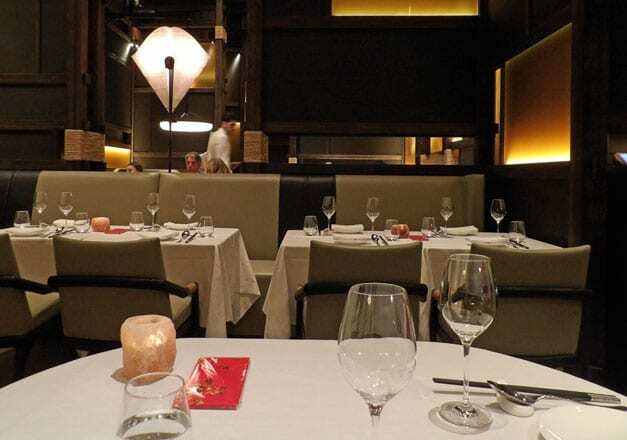 It is the perfect place for a special occasion and a successful dinner. (Average spend: lunch £50, dinner £100 per head).